I've had at least one request for a watercoloring tutorial...I'm not sure if this is exactly a tutorial, but I'll walk you through a watercolored piece step-by step. Hopefully it's helpful for you! 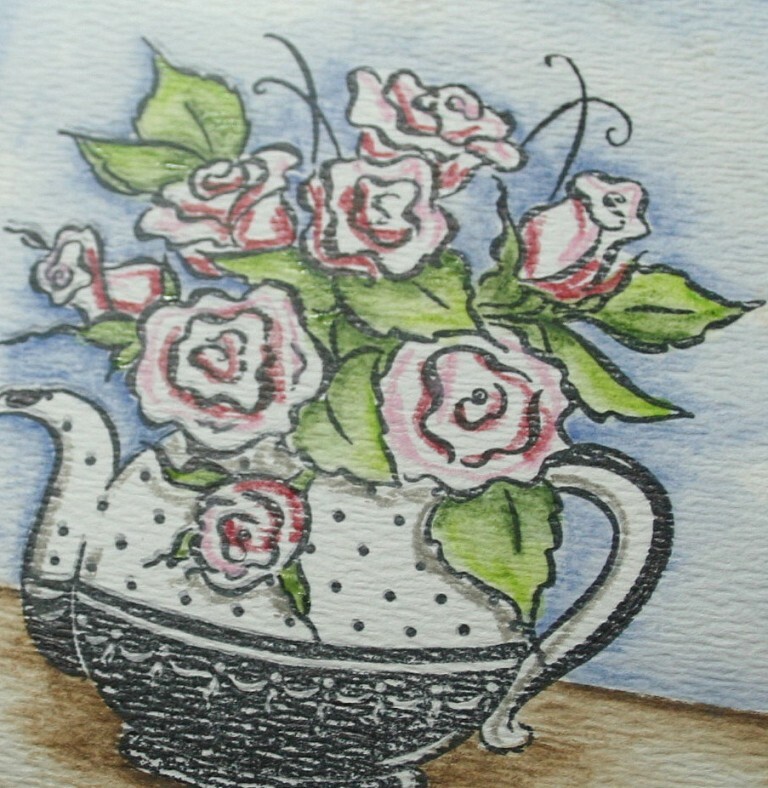 I chose an image from Embossing Arts, now carried by I Brake for Stamps....I love tea, and tea images, and this has great bold areas for painting, and besides - I haven't used it for a looooooooooong time! I stamped the image in Stazon Jet Black ink - for watercoloring you'll need a waterproof ink. Other supplies used are a Niji Waterbrush and Derwent Watercolor Pencils. Hint - for watercoloring too - especially if you use cheap watercolor paper (like me!) that has deep texture - keep a fine tip permanent marker handy to fill in where your stamp image doesn't cover. My first step was to establish my background. I made a horizontal line with a brown pencil and also created a shadow for the teapot. This grounds the image, or makes it look like it's sitting on something. When you do your initial coloring with the pencils, imagine where a shadow would fall if the object were real, and color there the darkest. 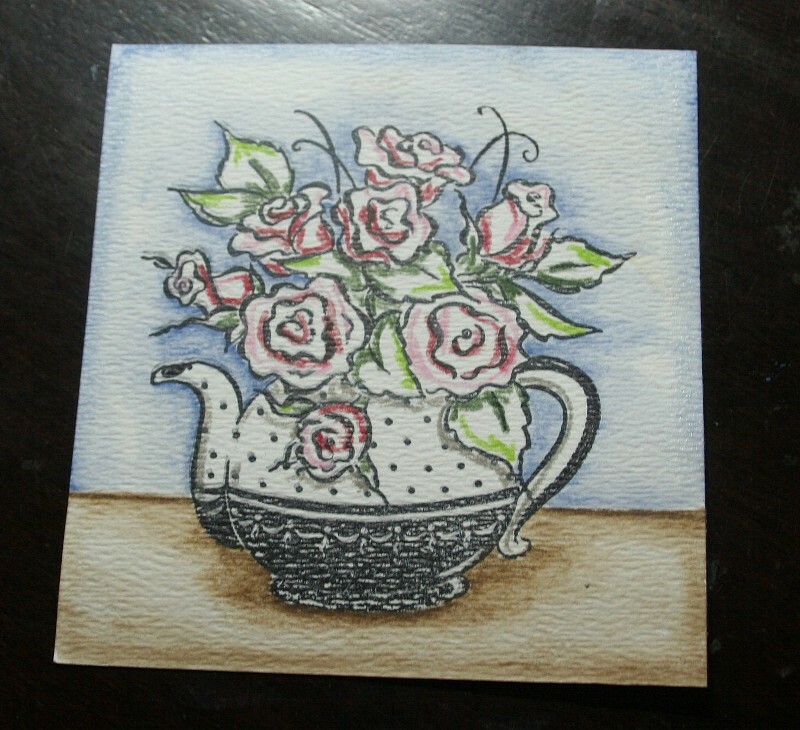 After the base, I created a shadow around the teapot and flowers with a light blue, then shaded and highlighted the leaves and the roses. Finally, I added a grey shadow to give the teapot some dimension. When you have your color areas established, grab your waterbrush and start blending. In a single color area, blend from dark to light. If you are working in an area where you've colored darker and lighter areas, blend the lighter areas first, then blend the darker areas into the lighter - otherwise you'll lose your lighter areas altogether. If you find that you haven't put in enough color to begin with, you can pick up color directly from your pencil with your brush, as shown. Continue blending, one color area at a time. If you have questions, feel free to post...I'll see what I can do to answer them.........! Drop dead gorgeous card!!! Thanks for sharing your tips on watercoloring. 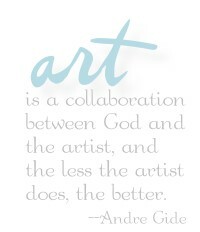 You're a true artist! Dina! This is beautiful! Thank you for sharing how you color! I love the way you color. I have the Sakura glitter pen and did not know about that tip. I'm going to try it! 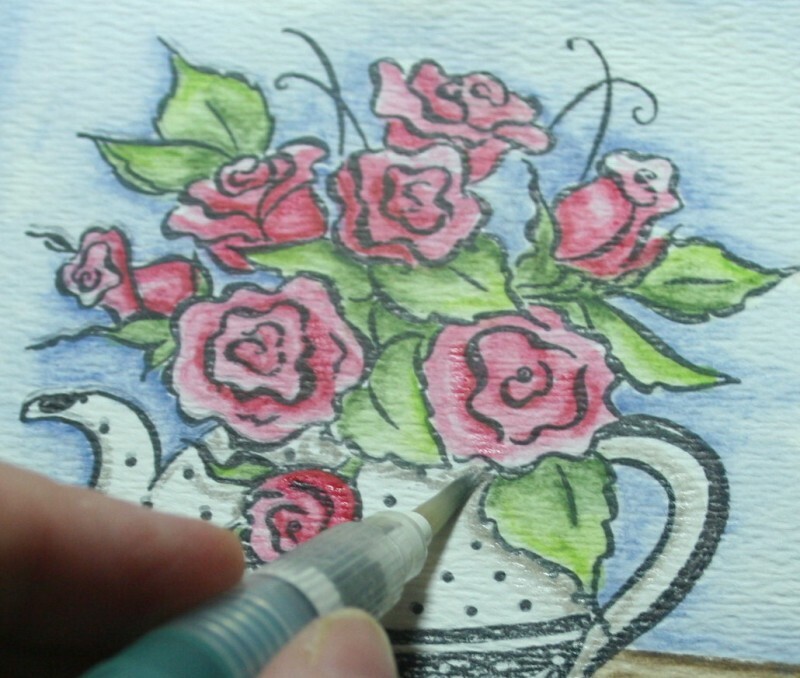 Dina thanks for sharing your wonderful tips, I've always enjoyed looking at your watercolored cards and now I can't wait to try it. I haven't watercolored in quite a while--I think I will do some tomorrow!! wow, I thought I knew how to watercolor..but you just taught me a new thing or two!! Awesome work, thank you for sharing!! What a great tutorial, and that card is beautiful. The image just pops out! 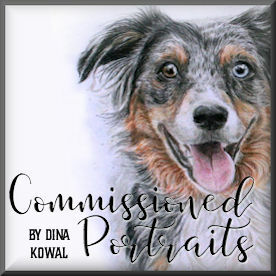 that's beautiful, dina!! i just got some watercolor paper and am intimidated by it, so there it sits--staring at me on my desk!!! beautiful job with the tutorial AND the card. Thanks for this Workshop Dina. Your colorings are great ! What a great tutorial! TFS! Thanks so much, Dini! I just about never watercolor because I just don't know what I'm doing! This is definitely helpful! I love how you can make the simplest stamp look fabulous! I'm fairly new to the watercoloring..am loving it. Thanks for the tutorial..I enjoy seeing the process.Thanks for sharing ...your Absolutely Beautiful work!! Love your Technique, the card is beautiful. What watercolor paper would you suggest for someone just learning? Wonderful tutorial Dina! Your card looks FANTASTIC! I think I can do this without fear now!! that was a great tutorial - thanks for writing it. Thanks for your tips! I love to learn tips and techniques. Your watercolored imaged is beautifull!